This is to inform the general public, parents, sponsors and eligible prospective UTME and DE applicants that Federal University of Agriculture Abeokuta will start selling and registration of her admission form into 100 and 200 level courses Monday, 13th August, 2018 and closes on Friday, 21st September, 2018. All concerned should take note of the cut off marks for different courses, requirements for admission, price and processes of application as announced by the management. Both UTME and DE applicants must have chosen the university as their first choice institution (most preferred) during UTME/DE registration. Candidates who did not choose the university during UTME registration but now wish to change them to first choice can still do it before post UTME registration starts or ends. You then wait for the JAMB to forward you details to the school and school to upload it to their database before able to register. You should be login in to the portal from time to time to see when the have finally added your details. UTME applicants must have written the right 4 UTME subjects for their proposed courses at the university. 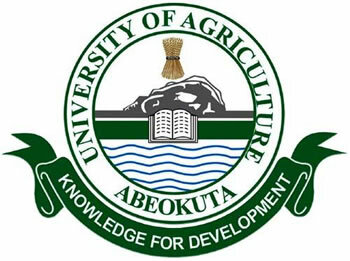 FUNAAB cut off Mark of minimum of 180 must have be scored by UTME applicants. Details of cut off marks for different courses are listed below. For DE applicants, FUNAAB only accepts a minimum of UPPER CREDIT at ND or HND and CREDIT at NCE for admissions into related areas from a recognized institution. At least two A-Level/IJMB/JUPEB passes in the following: Mathematics, Physics, Chemistry or Biology/Zoology/Botany are acceptable for admission into 200 Level. DE applicants must forward their Academic Transcripts to the University Registrar not later than Friday, 28th September, 2018. Both DE and UTME applicants must as well possess minimum entry requirements of five (5) O’ Level Credits in relevant subjects at one or two sittings in SSCE, GCE, NECO or NABTEB and fill the results online. More on O'level Requirements: A Pass in Physics at O-Level is acceptable ONLY for courses in Agricultural Programmes. A Pass in Biology with Credit in Agricultural Science is acceptable ONLY for courses in Agricultural Programmes. The University does not accept Agricultural Science in lieu of Biology. Candidates applying for Water Resources Management should also possess a Credit in Geography. Applicants are advised to confirm the Admission Requirements into respective Degree Programmes before logging in to fill the e-application form. You will need a PDF Reader or Adobe Reader on your device before you can view this. Screening: The Pre-Admission Screening Exercise is Computer-based and holds between Monday, 24th and Wednesday, 26th September, 2018. Visit FUNAAB Post UTME/BE Log in Page. Enter your JAMB UTME or JAMB Direct Entry Registration Numbers to generate and print out their Application Invoice which states their Reference Number and other information on payment of a non-refundable fee of Two Thousand Naira (N2,000.00) only, excluding REMITA charges. Payment can be made at Bank accepting REMITA payment (commercial banks nationwide) or Online using debit card or via Internet Banking and make payment of the prescribed fee using the REMITA Reference Number. After payment, candidates are to proceed to FUNAAB Admission Portal and complete the e-application form as appropriate. Application opens on Monday, 13th August, 2018 and closes on Friday, 21st September, 2018. Correctly orrectly input their Bio-data, O’Level results, OND/HND/NCE/A-Level/IJMB/JUPEB results (where applicable) and upload a recent coloured passport photograph (not more than 6 months old). Note that you will need your WAEC, NECO or NABTEB result checker (PIN and Serial Number) during the registration for the portal to fetch you SSCE details. On uploading of all required details, candidates are expected to first preview and confirm the entries before clicking on Submit on the acknowledgement page. Print out the Application Form displaying their passport photograph. Correction of wrongly entered data attracts a fee of One Thousand Naira (N1,000) only as penalty and can be effected online not later than the closing date of the application. No complaint of wrong Bio-Data, O'Level results, OND/HND/NCE/A-Level/IJMB/JUPEB results or blank picture would be entertained thereafter. Candidates who up-load wrong Bio-Data, O’ Level results and UTME/OND/HND/NCE/A'Level/IJMB/JUPEB results will be automatically disqualified. All correspondence and enquires on the Pre-Admission Screening Exercise should be directed to 08173583131, 08035231879, 08129775690 or e-mail: registrar@funaab.edu.ng or admission@funaab.edu.ng or helpdesk@funaab.edu.ng.